If you're a certified Open Water Diver, the Advanced Open Water Diver course gives you the experience and the certification to explore deeper and more exciting dive sites. This course is designed with less theory classes and more in-water training sessions. You'll also do 5 dives with a specialized focus: one compulsory Deep Dive and one compulsory Underwater Navigation Dive, as well as three elective dives that you can choose. 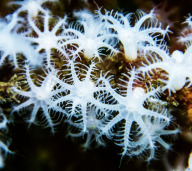 Over 2 days, you'll complete these 5 dives, going as deep as 98 feet. At the end of your training, you will be certified as a PADI Advanced Open Water Diver. NOTE: You have to be a certified Open Water Diver to book this scuba course. Goa, the place known for its tropical beaches, has more to offer than just the warm sun and soft sands. Located just off the coastline is the Ilha Grande Island, a hub for all water sports, from snorkelling to fishing. 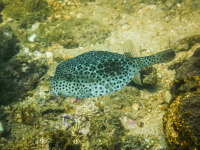 Your Advanced Open Water Diver course will take place at the multiple dive sites that Grande Island has to offer. One of the more interesting diving attractions at Grande Island is the wreckage of SS Rita, a cargo ship that ran aground in the 1950s and sunk near the island. Other diving spots around the island such as Coral Garden and Shelter Cove offer a glimpse into the fascinating diversity of marine life. Here, divers can expect to swim past Scorpion Fish, Puffer Fish, Fusiliers, Snappers, Lion Fish, crabs and many more underwater species. And if you’re lucky, you might even encounter the odd sting ray or dolphin. 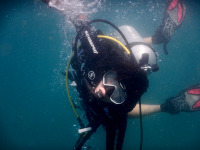 • Earn your Advanced Open Water Scuba Diver course in Goa. • Go as deep as 98 feet on this advanced level course. • Spend the day out on a boat in the balmy tropical weather around Goa. • Enjoy the laidback island life in Goa when you're not diving. Please avoid eating anything for at least half an hour before the scuba diving course. If you are under the influence of alcohol or narcotics, you will not be allowed to dive. There will be no refunds in this case. Please adhere to the instructions provided by the scuba instructor at all times. It is recommended that you don't board a flight for at least 24 hrs after completing the Advanced Open Water diving course in Goa. For cancellations made 14 days or more before the start date of the Advanced Open Water Diver course: Full refund. For cancellations made 7 to 13 days before the start date of the Advanced Open Water Diver course: 75% refund. For cancellations made 6 to 2 days before the start date of the Advanced Open Water Diver course: 50% refund. For cancellations made less than 2 days before the start date of the Advanced Open Water Diver course: 25% refund. 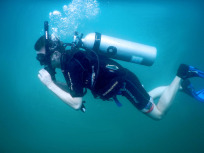 The prices of this Advanced Open Water Scuba Diver in Goa are subject to change without notice. If this scuba diving course has to be aborted due to reasons beyond the control of the operators, or for the safety of the divers/crew, the operator will offer a chance to complete the dive at another convenient date. Accommodation options are also available on the property, so you can combine the Advanced Open Water Diver course in Goa with other activities here. There is no pick-up for this activity. There is no drop-off for this point. Report to your dive centre by 07:00 hrs in the morning. You'll be briefed here and then will set out for your day of diving. Today, you will complete the Underwater Navigation dive and a Wreck dive/elective dive. 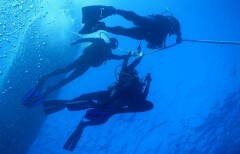 Your instructor will brief you about the safety concerns before you undertake these dives. Snacks and water will be available between dives. You'll be done with the day's diving by lunch time, and then will be dropped off back to the shore. The rest of your day is yours to spend as you please. Report to your dive centre by 07:00 hrs in the morning. Today's three dives will consist of the Deep Dive, followed by 2 elective dives. Snacks and water will be availabe to help your body recover between each dive. After the end of the diving sessions, you'll return to the dive centre and complete the paperwork for your certification. Congratulations! You're a certified Advanced Open Water Diver! • Please carry any specific, personal or prescribed medication. The dive centre is located near the Candolim beach, Goa. Candolim is a half-hour drive away from Panaji, which is well connected to the major cities of the country via regular flights to Goa International Airport (GOI).